The new High Efficiency Video Coding standard is promised to deliver up to 50% bitrate savings compared to H.264 for HD. It is best suited to resolutions beyond HD, and is being put forward as the mainstay codec for the Ultra HD era. “There are two primary drivers for HEVC: 4K distribution; and lowering bit rates and thus distribution costs,” says John Pallett, director of Product Marketing, Enterprise Products, Telestream. “Production is beginning to move to 4K,” says Motorola Mobility’s Home product architect, EMEA, Mike Gannon, pictured, “so the next challenge is distribution. The major challenge is the consumer device and being able to take advantage of the reduction in bandwidth.” He is already seeing sharp price cuts in terms of 4K TVs (there is one available from Seiki for under $1,500), although the current HDMI standard only allows 4K at up to 24/25p. HDMI 2.0 (expected to be ratified soon) rises from 3.4Gbps to 6Gbps to give 60fps at 4K. At NAB ATEME showed UHDTV (QFHD @ 60fps) at either 24Mbps in MPEG-4 or 13Mbps in HEVC, although its chief strategy officer, Benoit Fouchard, believes that HEVC may not be so efficient below HD resolution, perhaps 30 and 40% depending on content. Current satellite tests for 4K use two transponders, but with HEVC you can get 4K 60p at 15-17Mbps, “so you can change from a single HD stream to a 4K HEVC stream in the same delivery capacity,” says Gannon. For terrestrial, HEVC will most likely be used (subject to regulation) “coupled with 4K/8K and DVB-T2 within three to five years,” says Boris Felts, VP product marketing, Envivio. Satellite HEVC usage will probably also be linked to 4K/8K distribution, with some trials planned for 2014. Prototype hardware decoders are already available. Motorola showed a Broadcom unit at NAB, but Gannon believes it will be next year before it is in a mature product. Although H.264 can deliver 4K, all of the respondents view HEVC as critical for the move to Ultra HD. “HEVC is far superior to H.264 for Ultra HD encoding both for quality and bit rate purposes,” says Pallett. “The bit rate reductions [HEVC] brings will be required to make the delivery of Ultra HD content to consumers viable on a mainstream basis,” says Digital Rapids’ director of Marketing and Communications, Mike Nann. However, he feels that Ultra HD faces other obstacles, such as the increased screen sizes needed to perceive Ultra HD quality gains, so HEVC Ultra HD services are probably a few years off. Switching to HEVC for 4K would mean you can get about the same bitrates as MPEG-4 for HD now, “so you could keep the same infrastructure,” says Eric Grab,VP Technology, Rovi Corp.
Ericsson sees HEVC as “an important component in the rollout of Ultra HD,” where it is needed to handle the resolution and higher frame rates, and will help make the business case for 4K. But, encoding for 4K will require about 80 times the computational power at the headend, compared to current HD services, as HEVC needs about 10 times the power at a given resolution as MPEG-4, says its head of Portfolio Marketing, Compression, Fabio Murra. However, it also “makes an all HD world a lot more financially viable for the operator. The only problem is the need for new STBs, so the business case will vary from operator to operator,” he adds. “Today, 4K is simply bandwidth prohibitive for distribution networks at 18Mbps to 20Mbps required for H.264 compressed 4K content. HEVC shrinks bitrates required for 4K resolution potentially to under 10Mbps, making UHD much more accessible within current network bandwidth limitations,” says Keith Wymbs, pictured above, VP of Marketing, Elemental. “HEVC’s 64×64 Coding Tree Block provides for very promising efficiencies at those frame sizes. Once Ultra-HD content and playback devices reach a critical mass, HEVC will be the way to deliver such experience,” adds Nikos Kyriopoulos, pictured, product director, Media Excel. The added complexity of HEVC requires 10 times the power required for H.264. Even following Moore’s Law, “CPU or GPU performance will take about 3.5 years to increase performance by ten-fold and thus making HEVC software-based solutions as ‘CPU economical’ as H.264 ones today,” says Maag. “Some of the techniques in HEVC are not new; they’ve been waiting for the computers to get fast enough,” adds Grab. As the code is optimised and specialised hardware is introduced, the level of compression can be increased. “HEVC introduces an order-of-magnitude level of complexity in comparison to AVC/H.264. This complexity is mainly attributed to: the four-fold extension of the directional intra-prediction modes (33 vs. 8); and the Coding Tree Units/Block feature,” says Kyriopoulos. This will adversely affect realtime HEVC production until more economical hardware-based or hardware-accelerated solutions are available. “In the meantime, offline content encoding for multiple redistribution will be better positioned to take advantage of the bandwidth savings without having to have the ten-fold increase in performance needed to sustain realtime production,” he adds. For realtime use, Kyriopoulos believes that rather than simply throwing processing power at it, it is better to optimise the encoder implementation to utilise the most appropriate encoding features/modes without having to try them all in advance and within a realistic CPU cycle range. “For 4K contribution, H.264 is still expected to be the codec of choice at least initially, especially over DVB-ASI/Teleport-based networks where H.264 is ubiquitous (fully supports 4:2:2 sampling, etc.). This applies to distribution scenarios as well, as long as the use-case justifies the elevated transport costs,” says Kyriopoulos. “HEVC also has a lot of promise as an editing codec for 4K – for example, it supports many more motion search directions for intra-frame encoding. This bodes well for people who are looking for a 4K replacement for AVC-Intra,” says Pallett. “The compelling reason for production environments to move away from the editable codecs currently used would be if 4K mandates new colour coding practices that the current codecs of the production environments do not support. For instance MPEG-2 does not support 10-bit, which may become a must for colour-coding in 4K,” says Fouchard. AVP users will be able to upgrade to HEVC as well, but as the interfaces and bandwidth requirements are not decided yet, that will have an effect on how these will be added to particular models. ATEME’s next generation firmware upgrade for its hardware encoding core, for MPEG-4, will show “striking efficiency gains” that “will be visible in the very low latency modes. In fact this new core will allow us to operate at end-to-end latencies below 250ms with practically no loss in compression efficiency against our high quality modes (today there is a more perceptible trade off between low latency and compression efficiency),” explains Fouchard. Elemental is still even optimising MPEG-2 based on what it has learned from its work on H.264 and HEVC, while Envivio uses a common architecture across all codecs. “Any improvement brought to one of them has benefits to the others (MPEG-2, AVC, and HEVC are based on the same core architecture and algorithms). The gain in MPEG-2 are as, if not more, important as what you could get with HEVC,” says Felts. Thomson’s latest ViBE EM4000 H.264 multi-channel broadcast encoder fits one more channel onto a DVB-S2 transponder (from six HD channels to seven) with the same video quality compared to its previous generation.  “Over the next 12-15 months, we expect to improve the H.264 efficiency of our ViBE EM4000 encoder by adding a second channel in a DVB-S2 transponder, so eight HD channels. Around a 15% improvement,” said Gallier. However, one barrier to HEVC is that licensing fees are not established yet. “The license costs will drive the adoption (or not) of HEVC for distribution,” says Felts. Eutelsat is using H.264 to deliver Ultra HD over satellite. “As soon as there is an HEVC implementation (live or file) for Ultra HD and we are close — at least for file — we could imagine that H.264 will disappear from the picture, decoders being the real bottleneck here, rather than the encoder itself,” says Gallier. This will be driven by the time to market. “There is all the technology required to do 4K in AVC today. With HEVC, this will depend on the availability of the decoders,” adds Felts. Ericsson is working on trials with the EBU and KT Skylife in Korea to transmit/contribute Ultra HD using H.264 “One of the main drivers [for Ultra HD] will be sporting events. AVC already allows this and has the 4:2:2 progressive 10-bit formats necessary,” says Murra. Ericsson has adapted its Simulsync technology, developed for 3D, to synch the four HD quadrants of the picture together to transmit Ultra HD. Digital Rapids believes that H.264 will still have a use for 4K, at least initially. “While the additional bandwidth H.264 will require versus HEVC for 4K content may be prohibitive for linear Ultra HD television, for other applications such as home theatre it can still be viable – much like MPEG-2 continued to be viable for Blu-ray titles even though Blu-ray supported H.264,” says Nann.